In this novel authorized by the Little House Heritage Trust, Sarah Miller vividly recreates the beauty, hardship, and joys of the frontier in a dazzling work of historical fiction, a captivating story that illuminates one courageous, resilient, and loving pioneer woman as never before—Caroline Ingalls, “Ma” in Laura Ingalls Wilder’s beloved Little House books. For more than eighty years, generations of readers have been enchanted by the adventures of the American frontier’s most famous child, Laura Ingalls Wilder, in the Little House books. Now, that familiar story is retold in this captivating tale of family, fidelity, hardship, love, and survival that vividly re-imagines our past. Sarah Miller began writing her first novel at the age of ten, and has spent the last two decades working in libraries and bookstores. She is the author of two previous historical novels, Miss Spitfire: Reaching Helen Keller and The Lost Crown. 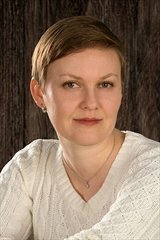 Her nonfiction debut, The Borden Murders: Lizzie Borden and the Trial of the Century, was hailed by the New York Times as “a historical version of Law & Order.” She lives in Michigan. 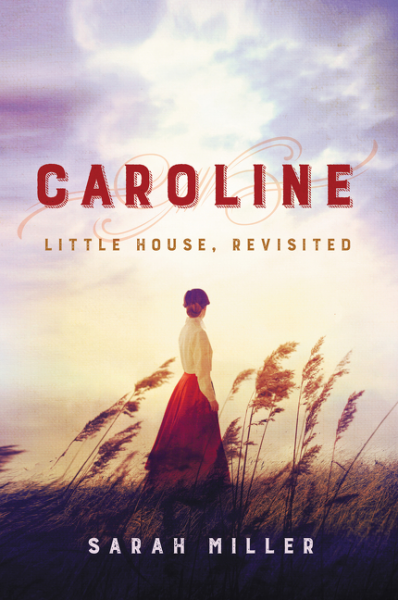 Sometimes a book falls into your life at exactly the right time, and that’s what happened to me with this book, Caroline: Little House, Revisited. While I typically start looking for scary reads around this time of year, we’ve had some family events that stirred my need for warmth and comfort in my reading, and what could be more comforting than a novel that tells the familiar story of Little House on the Prairie, in a new and unfamiliar way: it’s not written for children, and it’s from Ma’s – that’s the Caroline in the book – point of view. What I appreciated was that author Sarah Miller’s use of language, while sophisticated, managed to stay in a tone that was reminiscent of Laura Ingalls Wilder’s original books. This gave the story an air of authenticity, and also made it feel like the literary equivalent of home. I wasn’t transported to the bedroom in Georgetown, CO that I inhabited as a seven-year-old reading through all the novels, but I did have the sense that I was visiting a former hometown and seeing it through adult eyes. I also really liked the glimpses of the physical intimacy – little touches – between Caroline and Charles. We don’t see a lot of their relationship in Wilder’s books, but Miller had the room to play a bit, and as a result both of the adult Ingallses are made more dimensional, and even – dare I say it? more human. One thing that struck me was that Miller gave Caroline a lot of agency. She could have prevented – or at least delayed – the initial move from the Big Woods of Wisconsin to the Kansas prairie, but chose not to. Those who are only familiar with the books will notice that this story is more true to the facts of the Ingalls’ life than to Wilder’s novels, which fictionalized her life. Baby Carrie, for example, is not yet born at the star of the book. While this book is most likely to appeal to people like me, who are big fans of All Things Laura, I think it would be a satisfying read for almost anyone who likes historical fiction or Americana. Goes well with fresh, hot cornbread with tart cherry jam, and hot coffee. One lucky reader in the US can get a copy of this book. How? Leave a comment on this post (make sure you put a valid email in the box for it) telling me about your own experiences with the Little House books. Or if you haven’t read them, tell me what book series is like home to you. Deadline is 11:59 PM CDT on Friday, October 6th. Winner will be notified by email. 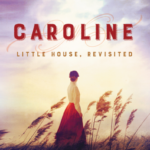 Review: Caroline: Little House, Revisted, by Sarah Miller – with Giveaway by Melissa Bartell is licensed under a Creative Commons Attribution-NonCommercial-ShareAlike 4.0 International License. Our teacher read at least a few of the “Little House” books to us out loud back in 3rd grade years ago! I very much enjoyed her readings–the books are much more real and truthful than the slightly ridiculous TV show! Actually, a few weeks ago I bought the Little House books and the DVD series on eBay for my kids. We’ve been watching it as a family (still on season 1) and I’d love to see how the story plays from Caroline’s perspective! Thanks for this lovely feature and giveaway which would be a real treasure. Anne of Green Gables series are the most wonderful novels that I read when I was 10 years old. The entire series in hardcover from the public library. Each book is memorable and unforgettable and meaningful and because I lived in Canada making it even more special. I was introduced to this writer and this experience became a foundation of reading for me.